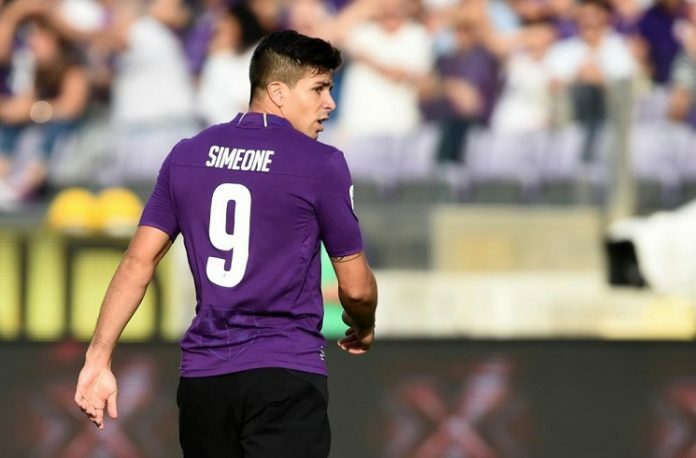 Giovanni Simeone playing for Fiorentina. Giovanni SIMEONE is set to follow in his father’s footsteps and make his debut for the Argentina National Team when they play Guatemala on Friday. 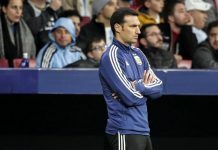 Initial rumors had Mauro ICARDI and Lautaro MARTINEZ as the two starting forwards for Lionel SCALONI. 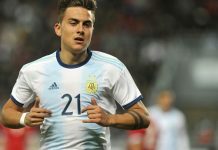 When news broke out that Lautaro MARTINEZ has had to leave the team due to injury and Mauro ICARDI not fit enough to start, one name came up to replace them both. That name being Giovanni SIMEONE of Fiorentina. 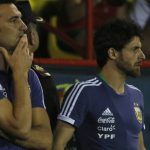 SIMEONE, who finished last season with 14 goals, is set to start up front for Argentina alongside Cristian PAVON and Gonzalo MARTINEZ. As of now impressed with scaloni, Midfield looks good, Infact very gud, I just hope these guys put on a great show. I never thought that we will see Palacios this much early for us. Same goes to Vargas. I just request all to be patient, these guys r playing together for the first time so there will be misplaced passes, errors in defence etc give them some time, don’t draw conclusions early. Well if we look like that we couldn’t even put 10 passes together even in the damn WC with the historical players. Give the youth some time to adapt. What’s most great about the two friendly games is the number of players we were claiming for. Number of players we like, we expected, we have hope. Even if one or two will not start in one of the games there will start other one I was waiting for. Palacios, Vargas, Ascacibar, Paredes, Battaglia, Pity Martinez, Tagliafico, Bustos, Lo Celso, Saravia, Rulli and so on. It’s real vertigo about the abundance of promising youngsters. I think this is a great opportunity for new blood to be injected into the NT. I have a bright look to the future of the NT, The youngsters will try very hard to book a permanent place in the NT. Now it’s everyone’s chance to prove themselves to be worthy of the shirt. 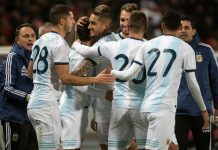 I am certain that most of the old guard will be dropped from the NT for good , and Argentina is looking determined to come back stronger than ever. Certainly WE have the talent, all we need is the the SPIRIT to fight and rise up again. 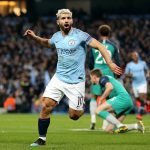 With obvious initial problems with understanding between the players that will almost all play together for the first time they should make up this by passion and sacrifice. Everyone knows Argentina has the best Forwards in the world. More than any other national teams. Even haters will admit that, at least. Still I’m not getting why Barcelona aren’t looking at them, to replace the now useless, senior citizen Suarez. Messi doesn’t have any influence at all in the club, which he immortalised. ?